The U.S. B2B ecommerce market is expected to reach $1.2 trillion over the next five years, and companies that haven’t already integrated ecommerce with their ERP system will fall behind their competitors. In the past, the effectiveness of B2B ecommerce was unproven, with a complex and costly integration process. Things have changed. 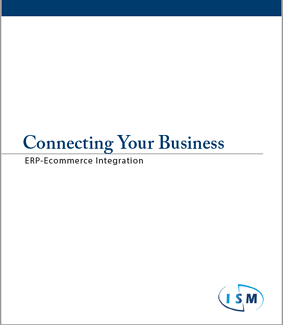 Read this all-new white paper, filled with cutting-edge research, to learn the details about integrating ecommerce and ERP for your business. The business world is changing quickly. Companies that choose to integrate ecommerce and ERP early will maintain an extremely competitive edge in the marketplace. Download your white paper now to learn more!